January 10, 2019 Blackbaud, Inc.
Work doesn’t mean the same thing now that it once meant. Workers have different motivations and skills, and organizations are changing their look in order to be more diverse and inclusive. What does that mean for the future of work? 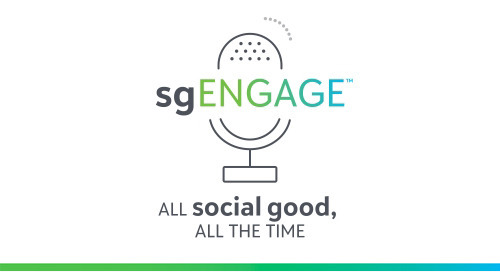 In today’s episode, you’ll hear a session from the 2018 Social Innovation Summit facilitated by Rachel Hutchisson on the topic of “Skills, Brand, and Space: The Future of Work.” Listen to the conversation with Carina Wong, Senior Advisor, Innovation & Scale at the Bill & Melinda Gates Foundation and Gary Bolles, Chair for the Future of Work, Singularity University as they answer questions about purpose and passion in the workplace, the changing skills required in today’s workplaces, and how workplaces themselves are changing.